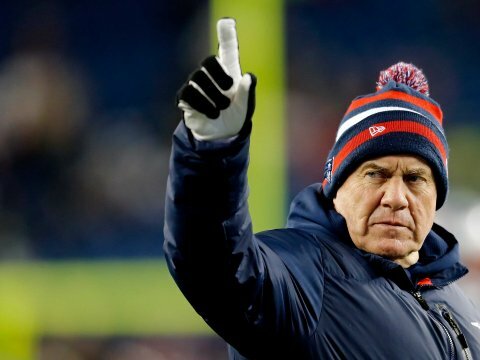 There are two questions that will linger in my mind for eternity - what happened to Jesse Pinkman after Breaking Bad ended, and what does Bill Belichick actually have time for besides coaching the Patriots and sailing on his yacht? Well, apparently the old myth about playoff experience isn't something he doesn't care much about or have time for. Longtime safety Devin McCourty recalls a speech Belichick gave about playing in the playoffs when he was a rookie in 2010. "I always remember my rookie year when Bill came in there and he always harped on around this time everyone talks about experience and having guys with playoff experience," McCourty said Wednesday. "He came in there and said, ‘I don’t give a damn about playoff experience.’ It’s all about who executes and plays their best football this time of year. "Whether you’re a guy who’s played in 12 playoff games or whether you’re a rookie, he’s said he’s seen examples of both who have come out and played great and those who have come out and played terrible." Belichick does definitely understand playing in big games helps a little bit, but it may not be as big of a factor to him as it may be to some others. "He said, ‘Does it help? 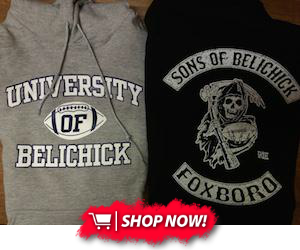 Maybe.’ He said it doesn’t matter if you don’t come out and play," McCourty said. "I think for those guys [who haven't played in the postseason], their biggest thing is they’ve played, they’ve played football for years now. Just zero-in and playing your best football right now is what’s important, and I think they understand that more than anybody because this is what they’ve waited for, and this is what they’ve wanted. You just let those guys go out there and play." The one example I instantly think of that might help Belichick's point is Sterling Moore at the end of the 2011 AFC Championship Game against the Ravens. Moore broke up what would have been the game-winning touchdown for the Ravens on two straight plays, which ultimately set up Billy Cundiff's epic 32-yard field goal miss. At the time, Moore was part of a revolving door at secondary for the Patriots. Without seemingly any playoff experience, he made two of the biggest plays in that game, which allowed the Patriots to hang on for the win. But of course, having playoff experience can never hurt.